Federal Minister for Communication and Postal Services, Murad Saeed said that Pakistan Post will start the EMS Plus services from Monday. Pakistan Post EMS Plus Services for International Parcels. The EMS Plus parcel delivery service will provide the facility to the people to post the goods to 50 different countries at the affordable rates. The honorable minister said while addressing the media and claimed that parcels to these 50 countries will be delivered within 72 hours. Pakistan Post is facing the competitive pricing of the packages and it will activate new service after making the collaboration with National Database and Registration Authority (NADRA) and this agreement was signed between them on 22 February 2019. 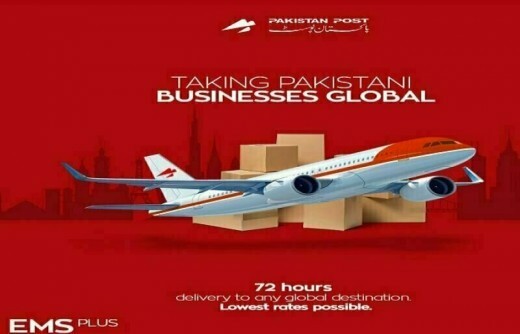 The latest launch of this service will promote and enhance the exports, e-commerce and online businesses after adopting the modern techniques for courier and parcel delivery services in the country. The minister also expressed his desire to increase the number of franchises of Pakistan post to 15,000 across the country.